Each island has its own charm and beauty, its own people and way of life. The possibilities are endless - below find sample island itineraries. If this isn’t your dream - just let us know what you are looking for. Day 1 — Arrive in Mahe, largest island of the Seychelles archipelago. A short flight brings you to Praslin Island, where there are secluded coves and beaches, superb snorkeling, scuba diving, fishing and swimming in the warm waters of the Indian Ocean. Day 2 — Time to explore, you may want to visit the fabled Valle de Mai Reserve, home of the rare black parrot and the only place in the world where the giant Coco-de-Mer palm grows. Day 3 — This morning you are taken by boat to La Digue Island. 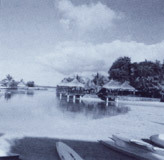 La Digue is an unspoiled island, where ox-car and bicycle are the favored means of transportation. Day 4 — You may want to take an excursion to near-by Cousin Island. Only a few visitors are admitted to this bird sanctuary and research center, where you see the very rare Seychelles fody and Seychelles brush warbler, along with tropical birds, shearwaters and turtle doves. Day 5 — Time to explore, swim, fish, snorkel, sunbathe or just relax! Day 6 — Return to Mahe to catch the connection to Bird Island, a one-half square mile mecca for bird lovers. This tiny island has a large resident population of exquisite fairy terns, noddy terns, mynahs and cardinals. Between May and November, nearly two million nesting sooty terns add to the avian spectacle. Meet the giant tortoise ‘Esmerelda’ thought to be 150 years old. Day 7 — Full day to explore this tiny island paradise. Day 8 — Return to Mahe and your next adventure. 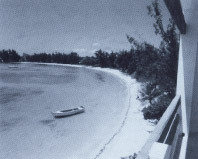 La Digue: La Digue Island Lodge, etc. Mahe: Banyan Tree, Berjaya Beau Vallon Bay Beach, The Plantation Club, Le Meridien Hotels, Mahe Beach Hotel, etc. Praslin: Berjaya Praslin Beach Hotel, La Reserve, L’Archipel, Coco de Mer Hotel, Paradise Sun Hotel, etc. NOTE: There is a wide selection of accommodation from guest houses to elegant hotels. Just let us know which type you prefer. will take you to a veritable Garden of Eden. Miles of beautiful beaches, spectacular coral reef, and much more - one of the few places on earth where you can indulge all the year round! Day 1 — Arrive in Mauritius where you will be met and transferred to your chosen hotel. Day 2 — Today a morning tour of the Royal Botanical Gardens, where you will see the rare indigenous plants alongside a colony of giant tortoises. Visit the capital, Port Louis, with time to shop at the town market, a perfect introduction to Mauritius. Day 3-4 — Free to relax on the beach, enjoy the many water sports or go off on another excursion of the Island. Day 5 — Time to depart this tropical paradise. Mauritius offers a wide choice of fine accommodation, ranging from the deluxe to stone and thatched beach side chalets. The following is a sample of the hotels from which to choose, all offering free use of sports facilities with the exception of deep sea fishing and diving. Le Saint Geran Hotel - a classic resort with its own golf course and casino. Le Touessrok Hotel - a luxury hotel with its own private island. La Pirogue Hotel - thatched roof chalets, lovely beach and deep sea fishing. Paradise Cove - a small, cozy hotel nestled in a charming cove. Other Recommended Hotels are: Ambre Hotel, Belle Mar Plage, La Maison, Royal Palm, Domaine du Chasseur, Cotton Bay and more. MAURITIUS AND SEYCHELLES - The climate is tropical, changing little throughout the year. The surrounding ocean has a moderating effect. Rainy season is January - March. Day 1 — Arrive in Zanzibar where you will be met and transferred to your hotel. Day 2 — This morning leave town for the tiny roads of the Zanzibar countryside. You will visit several small, private farms and see the different plants, trees and fruits grown and learn of their special uses. See how the famous spices of Zanzibar are grown, plus much more. Day 3 — Today will be a relaxing day on the Indian Ocean island hopping. You will travel by local wooden boats with outboard engine to the tiny islands off the coast with names like Changuu Prison Island, Grave Island and Snake Island! Time spent swimming from the beach or snorkeling around the reef. Return to town in the late afternoon. Day 4 — Depart Zanzibar for your next adventure. Madagascar is a forgotten land as far as tourism is concerned. The fourth-largest island in the world - has an incredible diversity of scenery, endemic fauna and flora, climates and ethnic types - often referred to as a ‘mini continent’. It is a logical extension to your African safari; yet it is so different. Madagascar is not for everyone - only for those willing to accept and trade some aggravation and discomfort for the adventure of a lifetime! To accommodate everyone’s schedule is difficult so we have developed modules -- mix and match as your time allows. Below is a sample program which spotlights the highlights of Madagascar. Day 1 — Depart from Antananarivo, capital of Madagascar, and proceed to Perinet, habitat of the largest of lemurs, the Indri. Overnight in attractive bungalows at Vakona Forest Lodge. Day 2 — Early morning departure for the spectacular 6-hour ride from altitude rain forest to coastal lowlands and flaming sunset on the Indian Ocean. Arrive on time for a flight to Maroantsetra, gateway to the last track of virgin rain forest in Madagascar. Weather permitting, a boat ride to Nature island, pristine paradise. Day 3 — Boat trip to the tiny island of Mangabe. Nosy Mangabe is a natural reserve and sanctuary for the world’s rarest lemur - the Aye Aye. Day 5 — Morning arrival in Ft. Dauphin. Settle in then enjoy lunch. Pick up and motor to Berenty, pleasuring in the drive which traverses one of the most remarkable vegetation transitions in the world, from eastern rain forest to the spiny desert in just a few miles. Day 6 — Day spent exploring the reserve noted for its ring-tailed lemurs and sifakas, bird species and multiple diversity of wildlife. Evening return to Ft. Dauphin. Day 7 — Full day excursion to the spectacular peninsula and lovely beaches of Ste. Luce. Day 8 — Depart Ft. Dauphin in the afternoon for your flight to Antananarivo. Golden Bamboo lemur, city tours upland rainforest, Perinet and the Indri, Indri. Virgin rainforest, ferns, rare palms, the Indri Indri - largest of the lemurs - and the Aye Aye, the rarest. Scenic drives to Perinet and Berenty Reserves, visit Zoma market and picturesque Fort Dauphin. MADAGASCAR - The climate varies from north to south, east to west and from coastal regions to highland; but, to simplify: tropical with two seasons, dry from April to December and rainy from January to March. Average temperature is 70 F in the highlands and 85 F on the coast.